My chile plant was very late off the mark this year, flowering merrily all through the summer, but not fruiting until the cusp of Halloween. I left it as late as I could before harvest, wanting to get as much as I could from this unexpected late bonus. So it was that I gathered them in just two days before the frosts hit. It’s been my best haul ever, and gave me enough to dry off and last TLC and I through the winter. Bringing a glow and a tingle to winter stews and casseroles. I took a snap before they went into the oven. 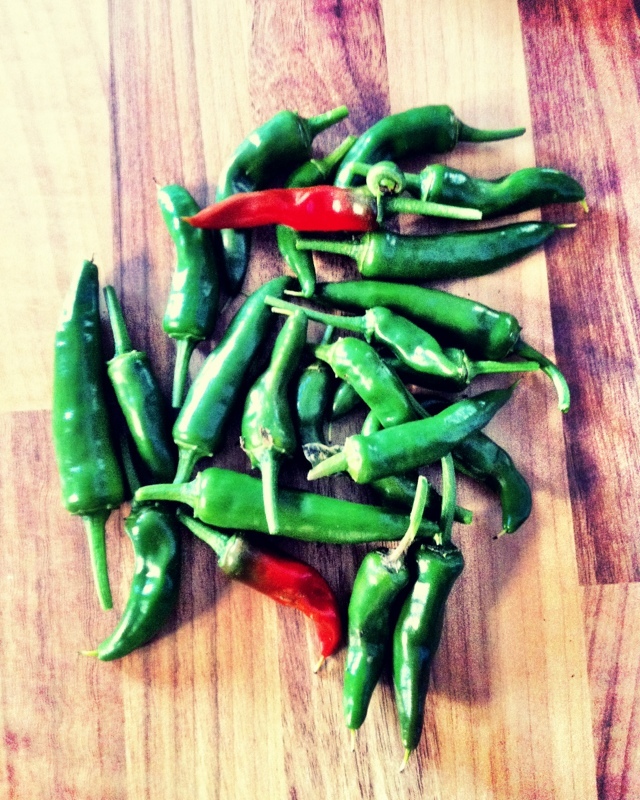 I love the waxy brightness of a fresh chili, and I’m happy with these jalapeños. Even if they did leave me hanging around for a while.